We had sightseeing around Måløy on Monday: Kannesteinen, a rock looking like Alladin’s lamp, view of Stadt from Kråkenes light house. Today passing under Hornelen. 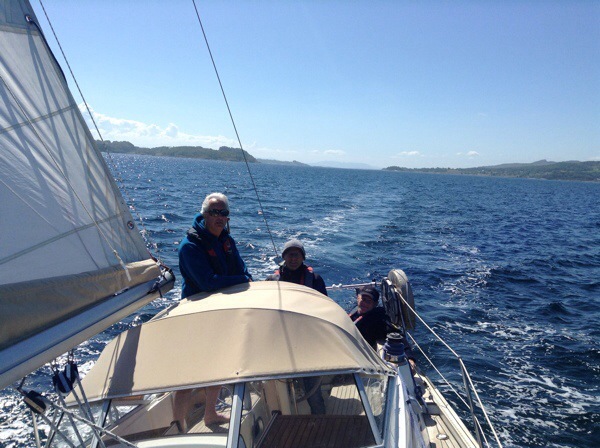 Måløy to Florø, 7 hours, mostly by engine, but sailed for a little while. 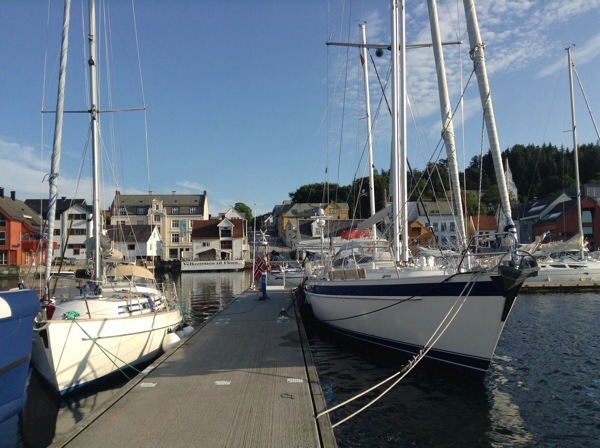 Moored in Florø for the night. The monastery was established in the 12th century, at a place which was believed to be the landing place of a young woman and her people who came from Ireland. According to the legend, the woman, Sunniva, fled a suitor whom she did not want to marry. Without sail or ores, they put their faith in God and let the sea and the wind take them away. They landed at Selja, where they lead a quiet life for some time, until local people chased them, accusing them of stealing sheep. 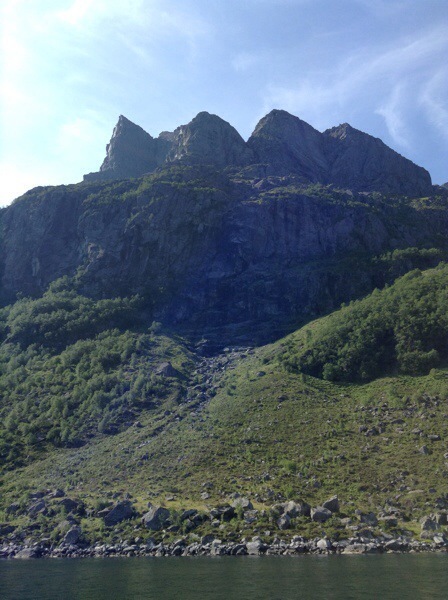 Sunniva and her people fled into a cave, and an avalanche of rocks covered them, saving them from their persecutors. At the end of the 10th century, some people saw a light over the cave, and found remnants of Sunniva and her people. She later became a saint, and the place became the seat for the bishop of the whole of west Norway until ca 1170. Sunniva may not have lived, but it is likely that it was Irish christians who came here and established the monastery. The ruins were restored in the 1930s. 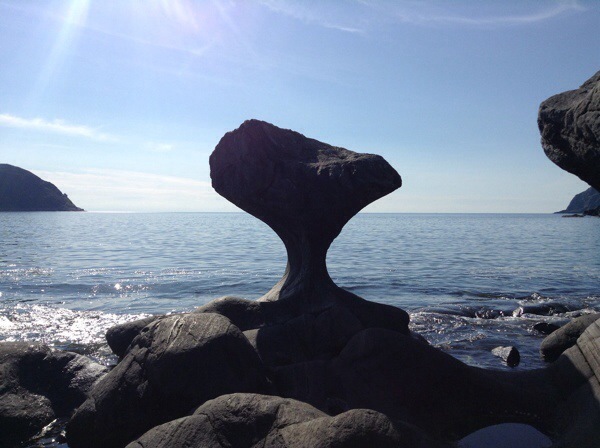 It is a beautiful place, with a view of some of the westernmost parts of Norway, and the open sea. We have anchored in the bay just below the monastery and will spend the night here. It is a rare chance to be able to lay overnight out here, with the open sea just outside. It is calm and peaceful, us being the only people here tonight. Arrived at Selje after a beatiful five hours by the passenger boat from Bergen. Much along the same route as we will follow on our way back. To the right, high mountains, to the left, islands and the open sea. Almost too calm. Hoping for some wind next week. But for now, this is just fantastic. 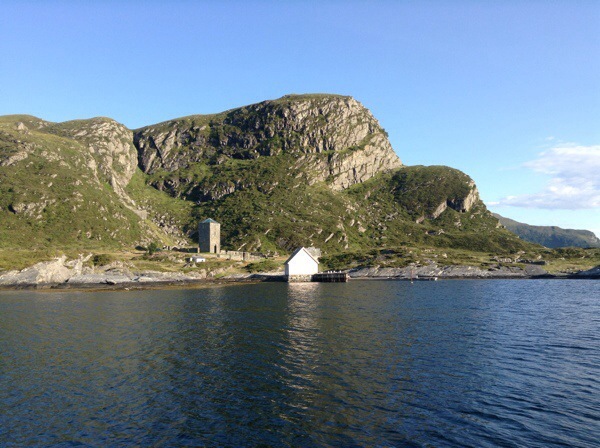 We will go out to the island of Selja tomorrow and anchor in the bay below the old monastery. Outside of the island, there is the North Sea. 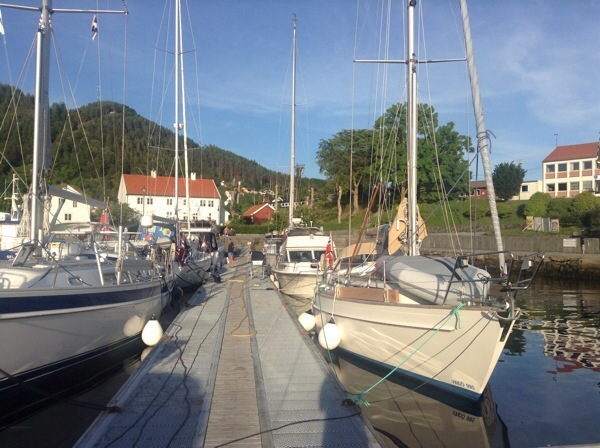 Then to Måløy on Monday, Florø Tuesday, island of Kinn Wednesday. Planning to be in Bergen by Saturday. 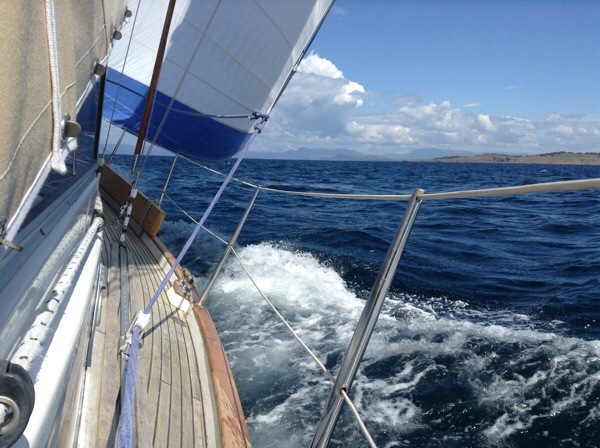 This summer we will sail the west coast of Norway. 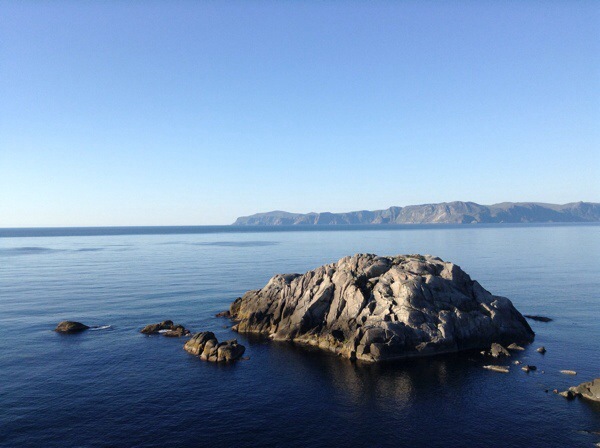 The plan is to reach Selje. Ruben, Benjamin and Ross started out Tuesday July 1. I followed them to Haugesund, then went back home. 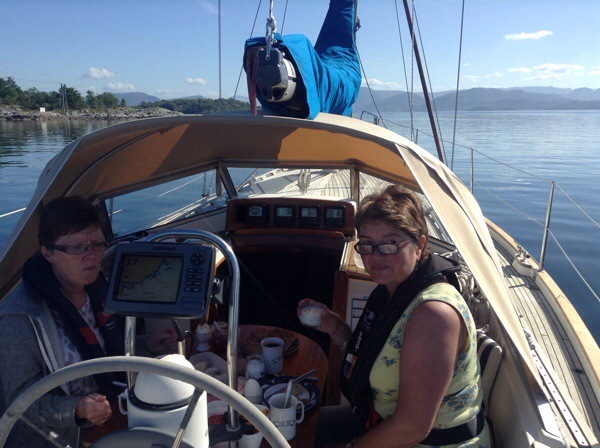 On July 20, Ellen and I will take over the boat and sail home from Selje, hoping to stop at some islands on the outer coast. Monday June 9. Started out around 9 a.m. Had breakfast in the boat. Went to Fister, where we walked up to the communication mast 500 m above the sea. 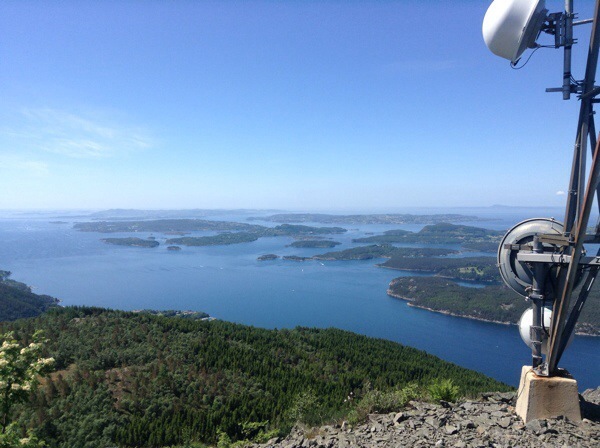 Fantastic view over the islands of Ryfylke, an eldorado for boating. 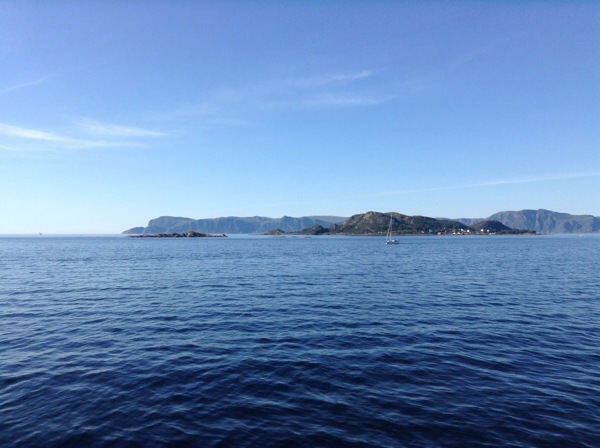 Passed through the sound of Rossøy on our way back home. Hauled her up this weekend (June 6-7). Antifouled and polished. 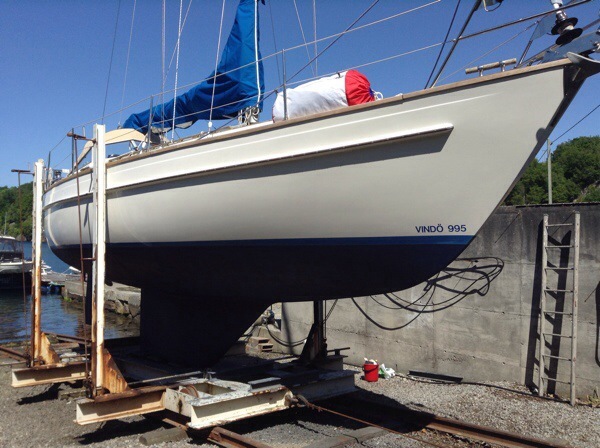 Now she is ready for sailing the west coast in July. 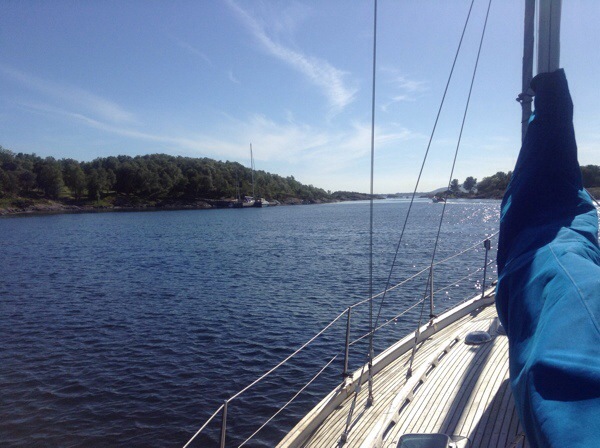 First time sail with the genakker, from Stavanger to Tau. We had a nice breeze which picked up a little so we made good progress for a while. 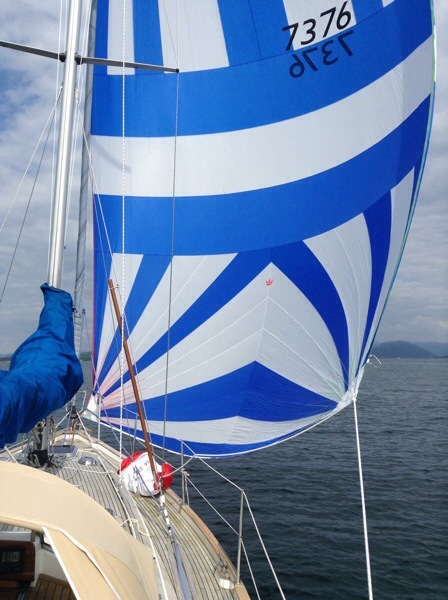 Will certainly use this sail again over longer stretches when there is too little wind for the ordinary sails.